Jurgen Klopp has his first Premier League victory after his Liverpool side came from behind to beat Chelsea 3-1. Chelsea had taken the lead through an early Ramires goal, but Philippe Coutinho equalised just before the break. Coutinho put Liverpool in the lead with a deflected effort, and substitute Christian Benteke sealed the win. Both sides could have had a man sent off, with Lucas committing a professional foul whilst already booked, and Diego Costa kicking out at Martin Skrtel. The Blue half of Merseyside will be equally happy, after their 6-2 demolition of Sunderland. Gerard Deulofeu and Arouna Kone put the Toffees 2-0 up. Sunderland pulled level though, as Jermain Defoe’s shot deflected past Howard and Steven Fletcher headed the equaliser. Everton then took the points with three goals in quick succession, as Sebastian Coates diverted a cross in to his own net, Romelu Lukaku scored a fine individual goal and Kone added his second. 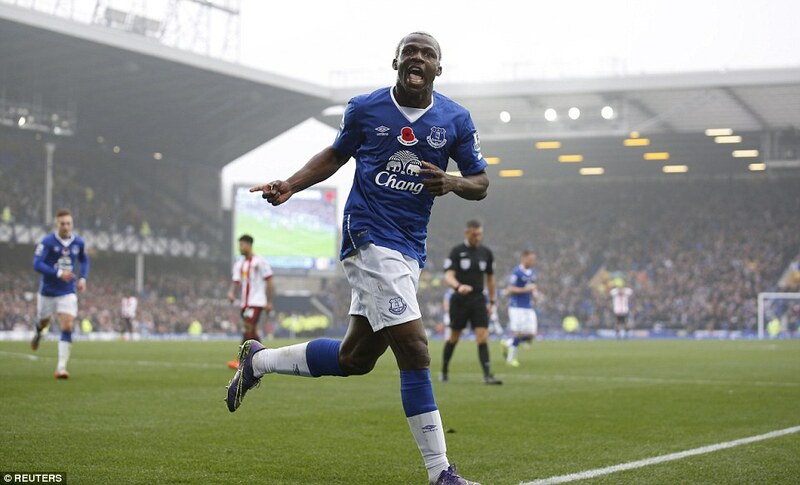 Kone completed his hat-trick late on with a header to complete the rout. Manchester City remain top after a nervy win over Norwich. Nicolas Otamendi gave them the lead with a powerful header, but Joe Hart spilt a routine cross for Cameron Jerome to tap in with just minutes to go. But there was still plenty of drama left, as Russell Martin was sent off for handling the ball with John Ruddy well out of position. Yaya Toure converted the penalty, a feat the Aleksandar Kolarov could not equal as City were awarded a second penalty in stoppage time. Arsenal kept up with City with a 3-0 win over Swansea. Olivier Giroud opened the scoring, and Laurent Koscielny doubled the lead despite Swansea claiming that Fabianski was impeded. Joel Campbell sealed the win with his first goal for Arsenal. Leicester moved up to third with a thrilling 3-2 win at West Brom. Solomon Rondon headed the hosts in front, but a Riyad Mahrez brace gave the Foxes the lead. Jamie Vardy made it 8 consecutive games in which he has scored, joining Ruud van Nistelrooy and Daniel Sturridge, with a well placed finish. Rickie Lambert ensured a tense finish with a late penalty, especially as Christian Fuchs appeared to commit three late fouls in the area which all went unpunished. Southampton overcame Bournemouth in a South coast derby. A Steven Davis volley and a Graziano Pelle header gave Saints the lead in the first half, but Victor Wanyama was sent off in the second half for picking up a second yellow card. Odion Ighalo scored both goals as Watford beat West Ham. In a game of shocking defending, his first came courtesy of Andy Carroll failing to clear his lines, whilst his second was an impeccable finish after an error from James Tomkins. Crystal Palace and Manchester United played out a goalless draw, United’s third consecutive stalemate, whilst Jack Butland almost single handedly held Newcastle at bay, producing six saves to keep the game goalless. On Monday night, Tottenham host mangerless Aston Villa, although Remi Garde will be in the stands prior to his expected appointment. This entry was posted in Football and tagged 2015, 2016, Arsenal, Aston Villa, Bournemouth, Chelsea, Crystal Palace, Everton, Football, Leicester, Liverpool, Manchester City, Manchester United, Newcastle United, Norwich City, Premier League, Southampton, Stoke City, Sunderland, Swansea City, Tottenham, Watford, West Brom, West Ham. Bookmark the permalink.